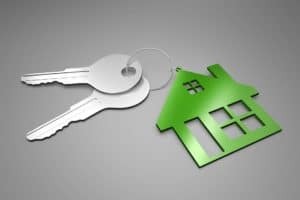 While many people believe that being a landlord is an easy way to make some extra money, it isn’t always simple. You won’t just be sitting around and collecting rent money every month. In fact, it can be a lot of work, especially with some places. Here are some challenges that you may face as a landlord. Choosing the wrong place can really make or break the experience. Some places are great for rentals while others are not. Older homes, though beautiful and great in their own way are not the best places for rentals. Whether or not you remodel them, it seems like there is always something that needs to be fixed. Older homes are going to need new roofs, pipes may break, and you may have to replace some appliances and even hardware (like doorknobs and sinks) that quits working properly. If you do end up remodeling, you could be spending a lot of money to fix it up. You may or may not be able to make up this cost with the monthly rental fee. In fact, if you pay too much for your property, it might be too stressful for you. Most people either rent out their own home when they decide to move somewhere else or they buy a single family home or a small duplex to start making money through real estate. If you are renting out your current home, most likely you still have a mortgage to pay on it. If you buy another single family home or small duplex, you are also going to have a mortgage payment. Because of this, you have to charge a certain amount of money for rent every month. It has to cover the cost of your mortgage. There are times when your mortgage payment is so high that you can’t really get anything more than that from your tenant. You also have to think about when the unit is empty. You have to have some extra money to cover the months where your rental is sitting empty, whether you are remodeling or you are just trying to find someone to fill it! Even one or two months without a tenant in your unit can really set you back money-wise. Choosing the wrong tenants can really hurt your experience. Bad tenants don’t always pay on time. You could end up spending a lot of your valuable time checking in on tenants who don’t pay. This can really start to become annoying if it is something that you have to do every month. Bad tenants can also wreck your apartment or home. Not everyone is going to take care of the place like it was their own. Even if they clean it, they might not get upset if they put a hole in the wall or anything similar. Though this is why you should ask for a security deposit to cover the repairs, it can just be messy when you have to clean up and fix it up so it is ready for the next tenant. Doing this on a regular basis can be a lot of extra work for you. Regular maintenance is important, as well as time-consuming and sometimes costly. Though you might not think about it, you are going to have to maintain the property. It is your job, not your tenants so you could be putting in plenty of work. Not only do you need to make sure that the roof is working, you are going to want to look at the windows, see how the electric and plumbing is working, and much more. By checking your house or apartment over on a regular basis, you are able to find problems before they become much bigger (and more expensive to fix)! The phone calls can get to you. Some tenants call very little and others seem to call about every little thing. There can be days when all you do is field phone calls from your tenants who probably have something to complain about! The never-ending phone calls can really get to you. Many landlords don’t get as much insurance as they need in order to save a little money. However, that can be a big mistake. Besides having insurance for the building itself, you may want to consider landlords insurance and rent guarantee insurance. These will help with personal injury cases and late rent. The more insurance that you can get, the better off you will be in the long run, even if it costs you a little more every month. You are probably going to have to deal with evictions at some point (if you are dedicated to being a landlord). Not only can they be expensive, they can also take a lot of time. The process doesn’t seem too difficult. All you need to do is file paperwork through the court system and wait for them to leave. However, many tenants get angry. They can trash your home quickly before they leave. Sometimes the cops need to be involved! Evictions also mean lost income for several months, especially if you have to make costly repairs to fix the unit back up. In the case of a lawsuit, the law will usually take the side of the tenant. Tenants have more rights than landlords so it is important to know the rules. There are some things that you can do and others that you can’t. If you ever get into a legal battle, there is a good chance that you will lose. It can be challenging to be a landlord. Not only do you have to find the perfect place for the right price, but your tenants can also make a difference. To top it all off, you are the only one who can choose who lives there. You could choose wrong and have someone unpleasant to deal with for the next year. Even worse, you may be trying to save as much money as possible so that you can increase your profits. However, one place that you should never skimp out on is insurance. If you don’t have enough and something happens, you could land in real financial trouble. You may also want to look into rent guarantee insurance to help you when your units are sitting empty. Contact us if you want your house sold quickly instead of dealing with landlord drama. We can give you a cash offer in as little as 24-hours and take the stress out of the rental game. Seller’s Advantage currently purchases homes in “AS-IS” condition in Southern California, Arizona and the greater Chicago area. Their A+ Rating with the Better Business Bureau demonstrates a history of satisfied clients. Find our more by visiting Seller’s Advantage at www.SellersAdvantage.com .